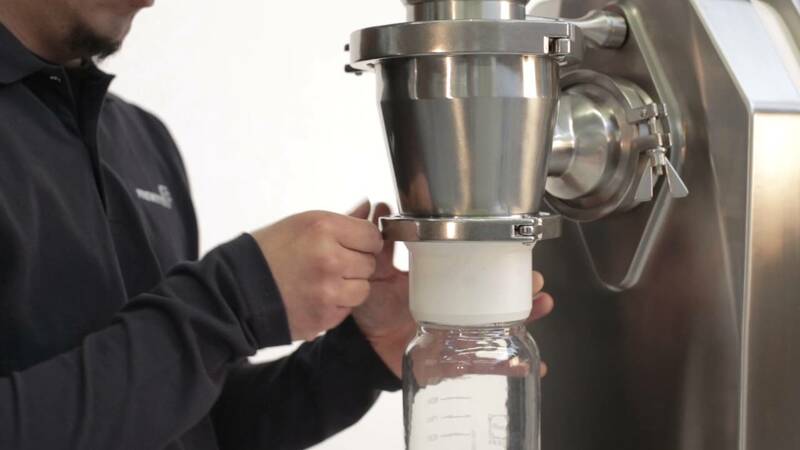 Sieve mill used for the gentle milling and deagglomeration of heat-sensitive and difficult-to-process products to finenesses up to 250 µm. 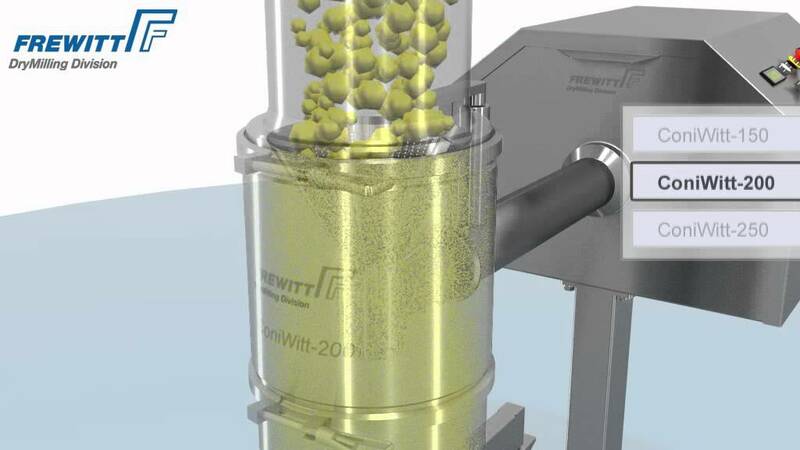 The ‘HammerWitt’ Hammer Mill from Frewitt delivers the optimum crushing results at an excellent throughput for pharmaceutical products, chemicals and food ingredients. 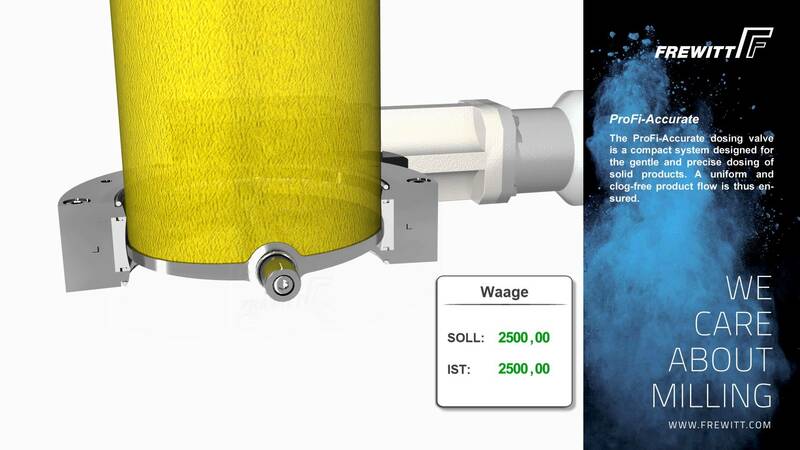 Provides the optimum sizing conditions with high throughput rates. 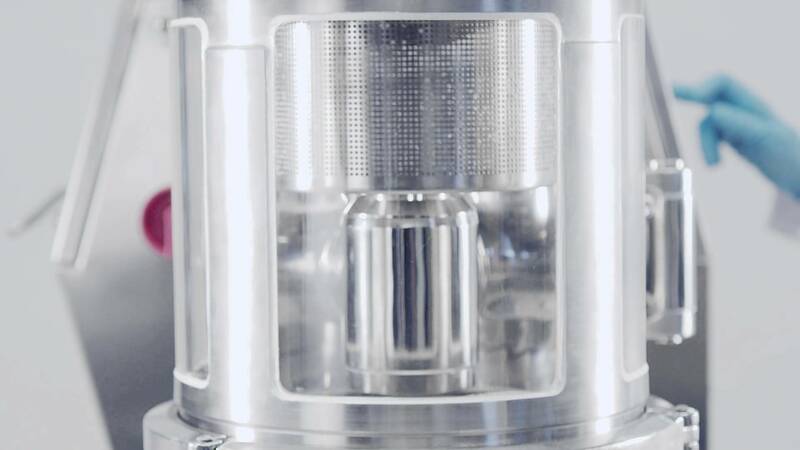 A cylindrical sieve mill for the laboratory. 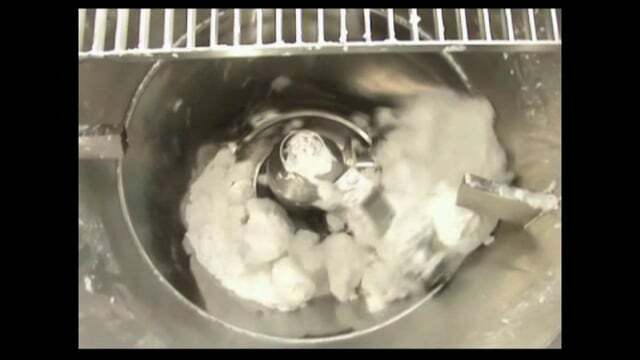 Having a rotating sieve drum; it is well-suited for homogenizing and control-sieving granular products to a fineness of 150 µm. 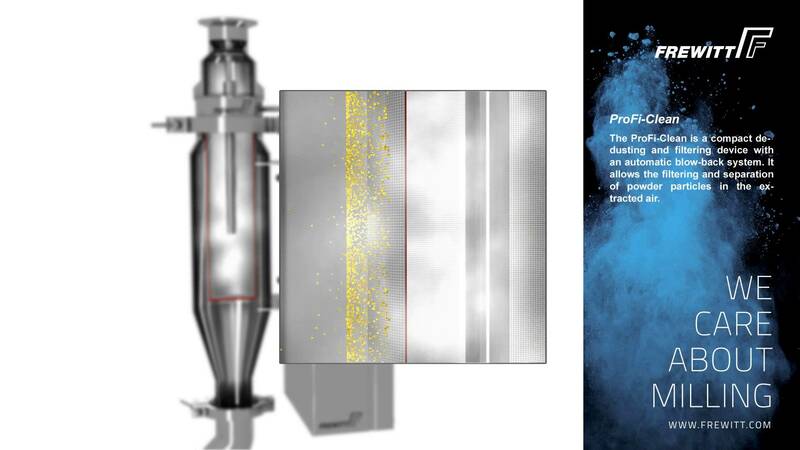 Innovative new sieving system that allows high-throughput size reduction and screening of raw materials. 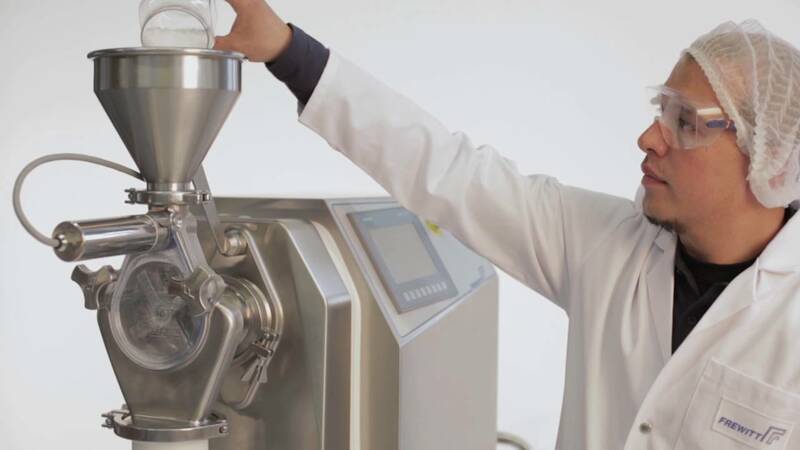 A revolutionary, modular, milling solution for R&D and analytical laboratories in the pharmaceutical, cosmetic, fine chemical and food industries. 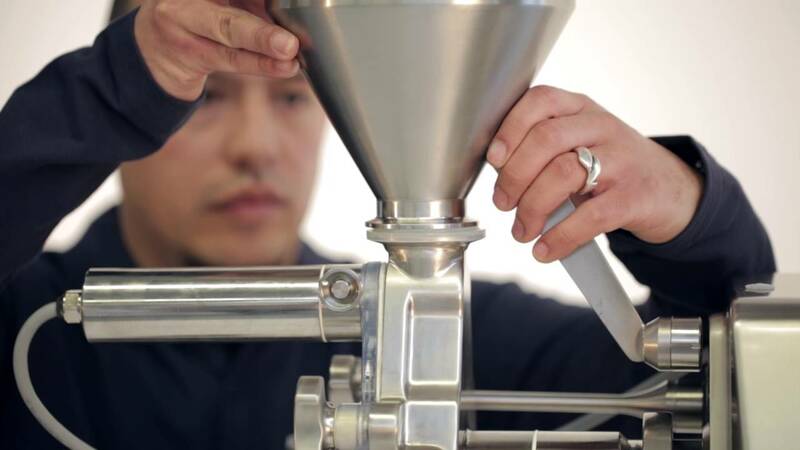 Offers considerable improvements in efficiency for sizing and de-agglomerating bulk materials. 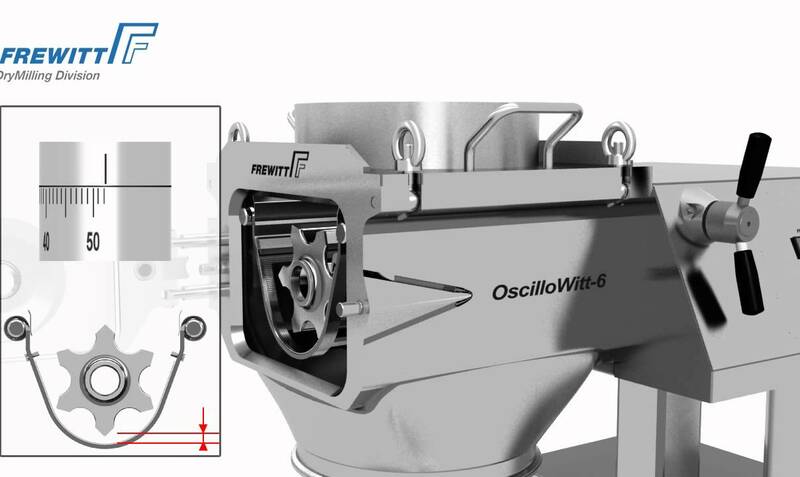 The ProFi-Valve 80 volumetric cell wheel dosing device is a compact conveyor system for solid products. 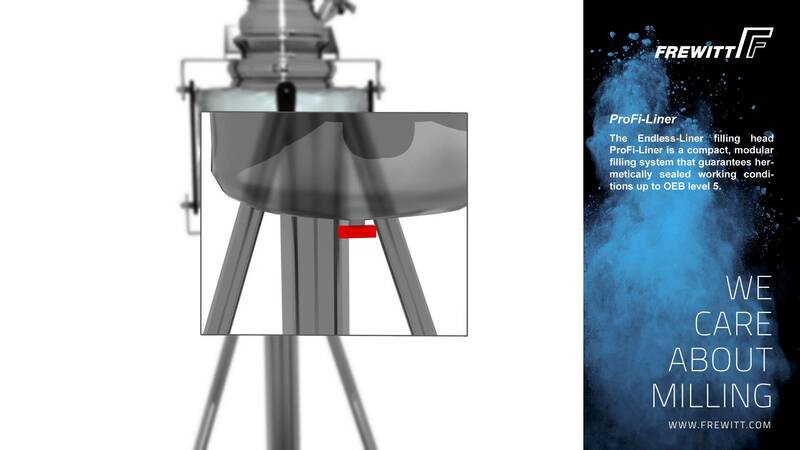 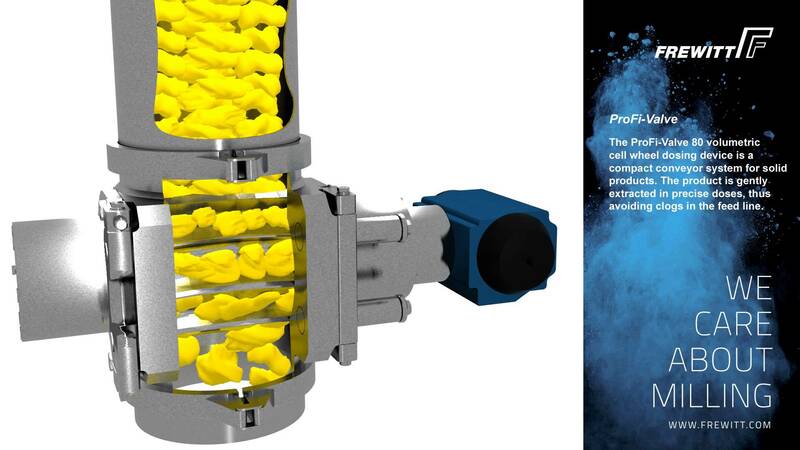 The ProFi-Accurate dosing valve is a compact system designed for the gentle and precise dosing of solid products. 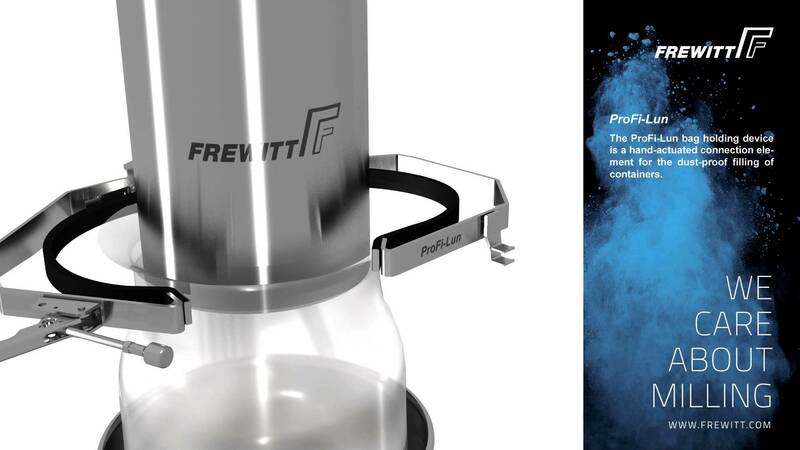 The Frewitt ProFi Clean Dedusting Filter is a compact de-dusting and filtering device with an automatic blow-back system. 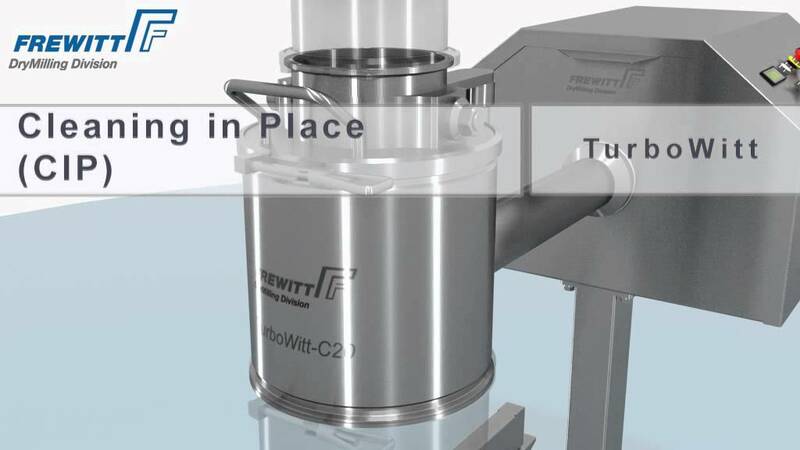 The ProFi-Lun bag holding device is a hand-actuated connection element and it is used for the dust-proof filling of paper and polyethylene bags. 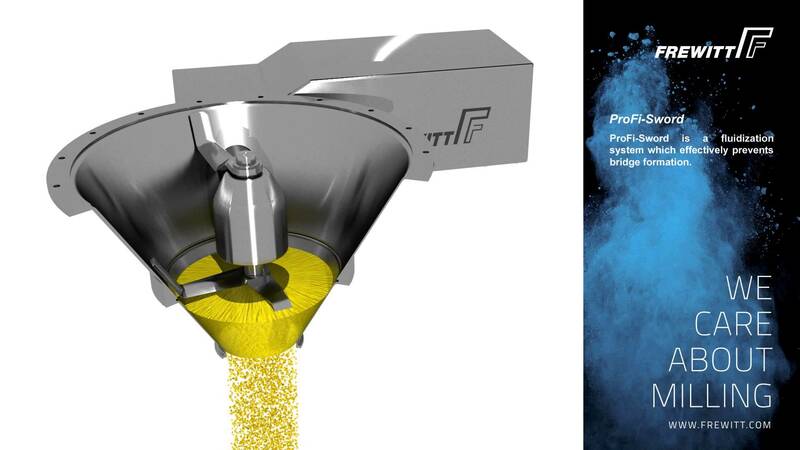 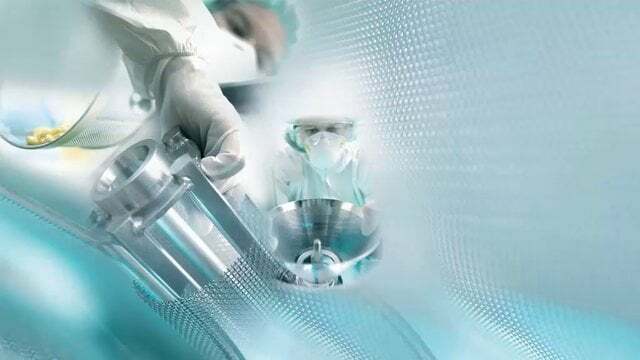 The Endless-Liner filling head ProFi-Liner is a compact, modular filling system that guarantees hermetically sealed working conditions up to OEB Level 5. 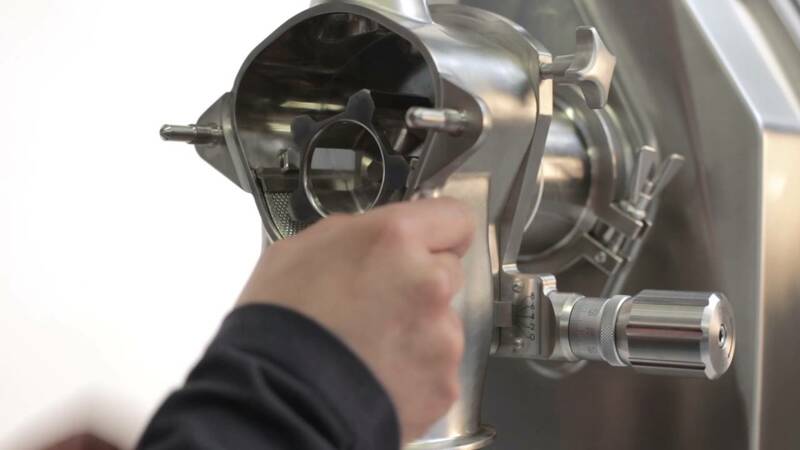 DelumpWitt mills bulk goods that have hardened and formed lumps as large as 60 cm over time to finenesses of up to 250 µm. 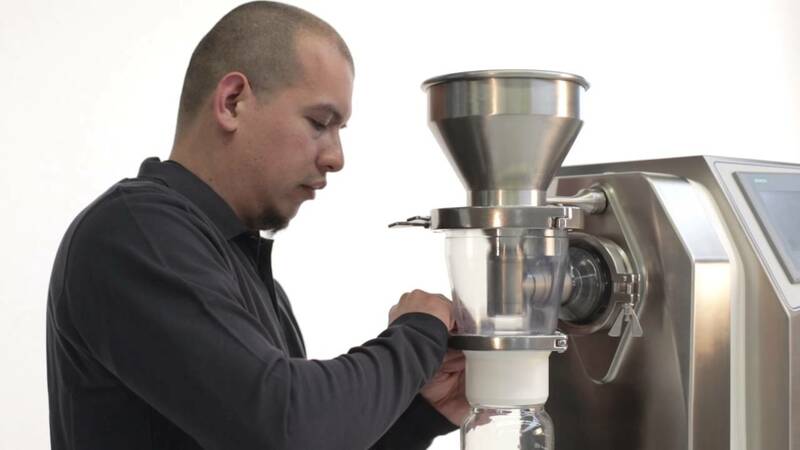 This video demonstrates a grinding of bulk white powder into fine product.